Filipino Night Market is a must visit destination when you are hanging out in Kota Kinabalu of Sabah. Try to guess what are these stuffs? Whether hanging or arrange orderly, all these packets are the special marine products of Sabah. 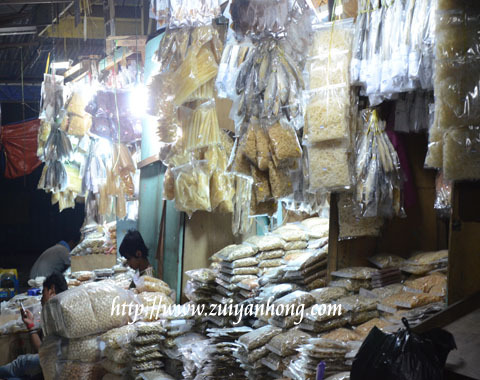 These products include seaweed, anchovies, salted fish, dried shrimps, dried scallops and sea cucumbers. 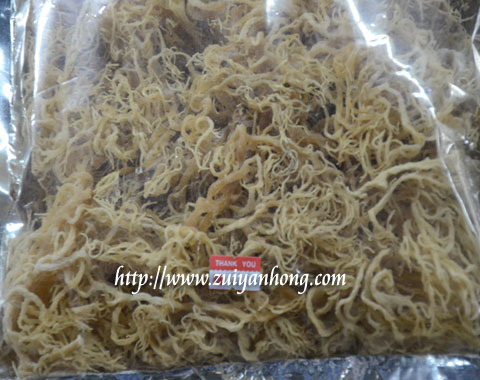 This is Sabah seaweed. 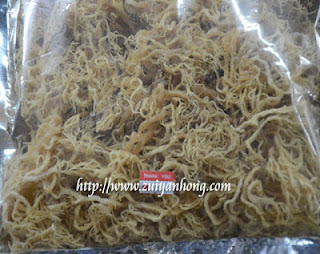 It's also known as sea bird's nest which is rich in protein, mineral, vitamin and collagen. Collagen has the efficacy of preventing skin aging. That's why the ladies are so interested in collagen products. Beyond that, collagen can also enhance the ability of bone joint extension. Knee and bone joint patients why not try to take Sabah seaweed. Soak some Sabah seaweed over night and boil it with a small pot for 30 minutes. According to your taste, you can mix with milk, honey, red dates, wolfberry, rock sugar, soya milk or lemon juice. In case you like coffee favor, you may use Sabah seaweed to make into coffee pudding and coffee chiffon cake. If you like barbecue seafood, you have to drop by Filipino Night Market. As long as the stall foods suit your appetite, there is abundance of fresh seafood for you to select. 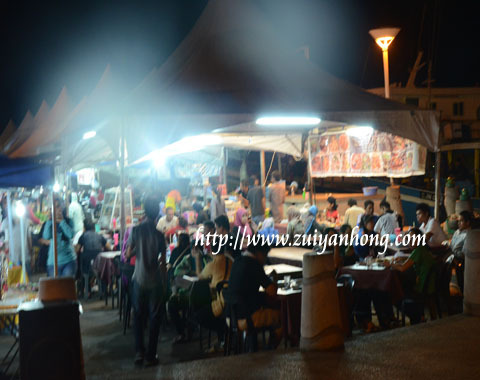 Filipino Night Market is located between Sentral Market and Handicraft Center at Jalan Tun Fuad Stephens Kota Kinabalu, Sabah. Suppose you wish to savor seafood or buy some marine products, Filipino Night Market is the right place for you to explore. Good and informative article. Keep up your good work! Hi, Jane. Thanks for you comment. I truly appreciate.